Topics: Bank Reo Properties, Buys Of The Week, Rentals, New Construction, Buyer/seller Info, and Market Analysis. It has 4 nameservers, including ns.cisdata.com, ns.cisdata.net, and ns2.cisdata.com. It is hosted by American Registry For Internet Numbers (Virginia, Chantilly,) using Apache web server. 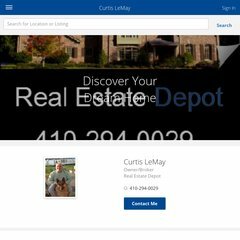 Aacountyhomes.com's server IP number is 74.122.32.116.